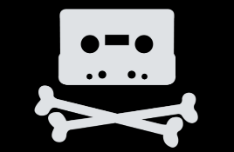 Earlier this week Fairplay Canada, the coalition lobbying for a national piracy blocking mechanism, countered its critics in a detailed reply. Buried in the footnotes, the document also included a stab at TorrentFreak, 'discrediting' our coverage by labeling us a "pro-piracy" site. Interestingly, however, the same report later cites TorrentFreak as a reputable source on site-blocking jurisprudence.